Sewer Line Replacement Best Price and Service! 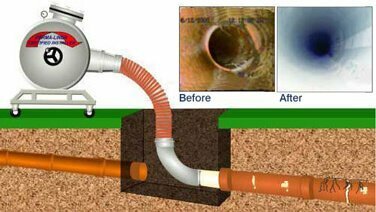 Most sewer problems can be fixed with simple trenchless sewer repair techniques, or even just by cleaning out clogs and obstructions with high-pressure hydro jetting. 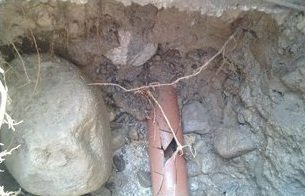 In some cases, though, old or severely damaged sewer main lines may actually need to be completely replaced with a brand new length of pipe. Fortunately, sewer line replacement is something you’ll probably only need once during the entire time that you own a property. 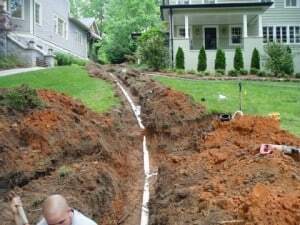 At A1 Sewer & Drain, our sewer replacement contractors can safely remove your old, broken sewer line and install a new sewer pipe replacement, often without even needing to dig up your yard. There are several good reasons why a sewer service company may end up recommending sewer line replacement instead of standard sewer repairs. 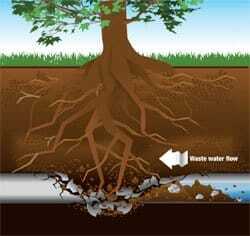 Usually, it’s because your sewer pipe is in a state of serious disrepair. Old, corroded sewer pipes. Aging metal pipes are afflicted by problems like corrosion, calcification, and scale. If your pipe is more than twenty years old, it may not be in great shape anymore, and sewer line replacement could be your best option. Burst sewer pipes. If your sewer pipe bursts, you’ll know right away. This is one of the most serious sewer problems, and the results can be disastrous. 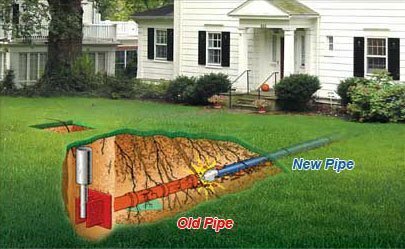 A burst sewer pipe can’t just be patched over: you’ll need sewer piper replacement, although in some cases, trenchless techniques like pipe bursting can save you the hassle of an extensively dug-up yard. Orangeberg pipes. Orangeberg pipes were used during the 1940s, when the war effort produced nationwide metal shortages. These pipes were made from compressed tar paper, and they’re not particularly durable. Although Orangeberg pipes have become increasingly rare as time goes on, they’re still present on a small number of properties nationwide. 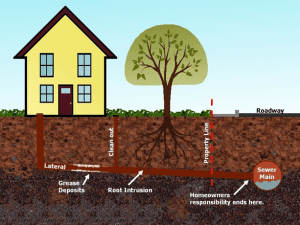 If you’re purchasing a property that was built during the ’40s, you should probably have a sewer inspection to make sure you don’t have Orangeberg pipes. If you do, you’ll need sewer pipe replacement with newer, safer pipes. There’s more than one way to replace a sewer line, and the location of your pipes, as well as the extent of the damage, may affect which type of sewer line replacement your contractor will recommend. In some cases, sewer pipe replacement is a messy affair that involves quite a bit of digging. 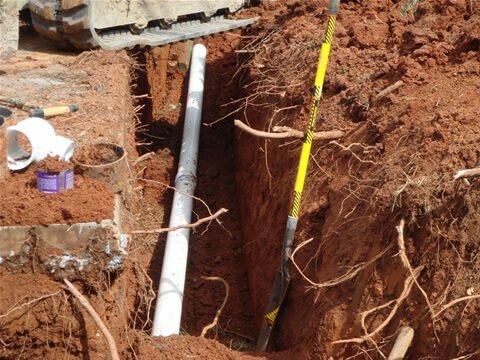 This process creates an unsightly trench that exposes the main sewer line so that it can be removed and replaced by sewer repair contractors. However, in many cases, we use trenchless pipe bursting instead, a less invasive and unsightly process. 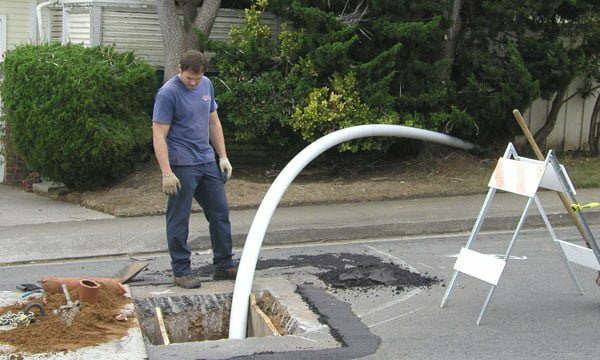 Sewer pipe bursting is a way to replace your sewer line through the existing access points, without the need for the entire pipe to be exposed and accessible. It’s generally reserved for pipes that are too severely broken or damaged to patch with a pipe liner. 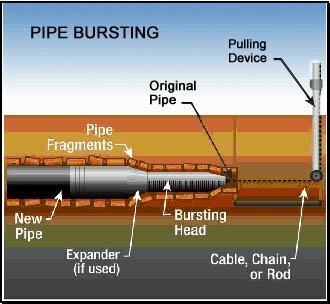 During pipe bursting, a new section of sewer pipe is pulled through the old one, pushing the broken part outward to remove it.